The "stole," a decorated strip of material several inches wide and seven to nine feet long, is a distinctive badge of the priest's office. 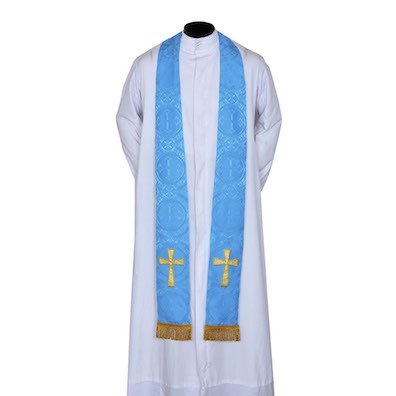 Donning his holy vestments before a ceremony, the priest kisses the middle of the stole and then puts it around the back of his neck, with the two ends hanging down his chest. Although Mulligan's ungirdled dressing gown does not cooperate in his unending imitations of a priest, the narrative does assist him when he heads down to the swimming hole: "Buck Mulligan slung his towel stolewise round his neck." In Hades the "whitesmocked priest" enters the funeral chapel after the server, "tidying his stole with one hand." 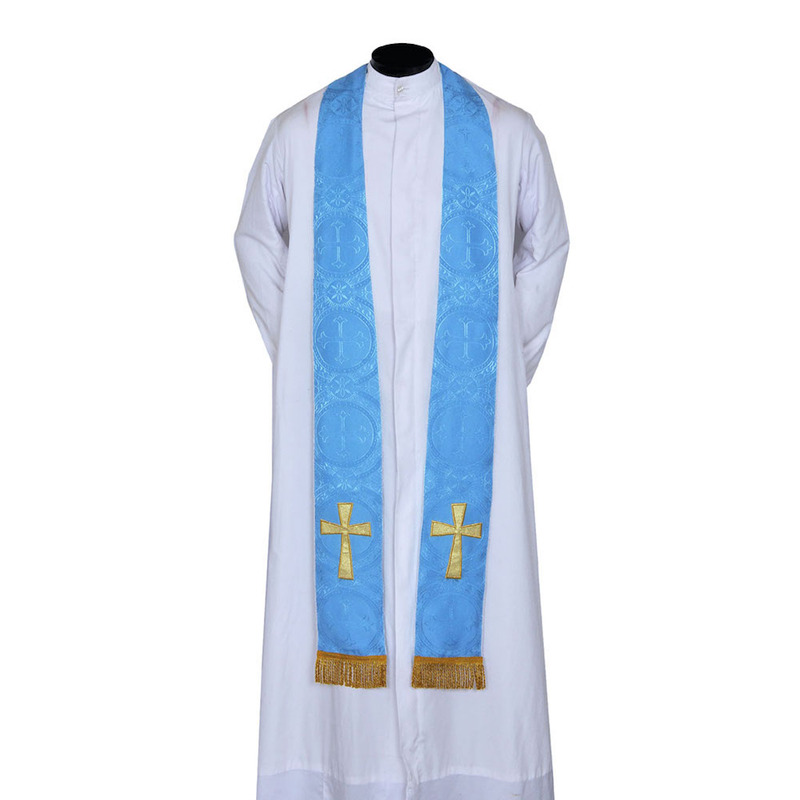 A priest's stole in Marian blue. Source: catholicliturgicals.com.